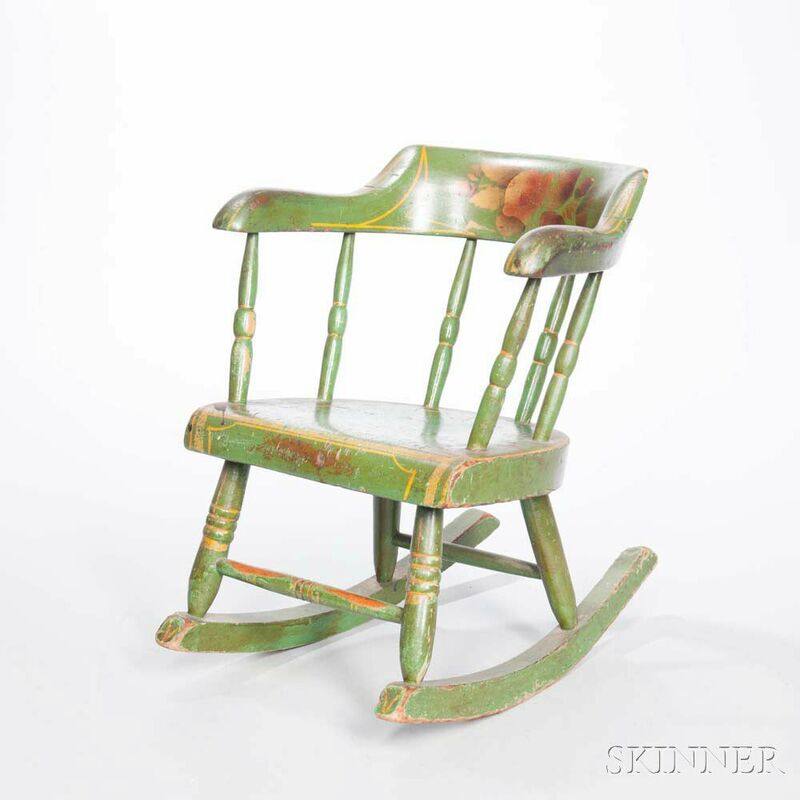 Paint-decorated Child's Rocking Chair, probably Pennsylvania, early 19th century, concave back rest extending to arms with turned spindles and plank seat, original apple green surface with yellow pinstriping and gilt stenciled oak leaves and acorns, (minor paint loss and wear), ht. 17 3/4, seat ht. 8 3/4 in.